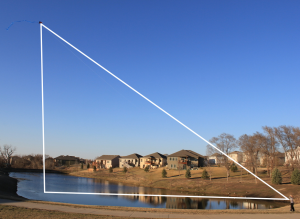 Home/Geometry/Let’s Go Fly a Kite! 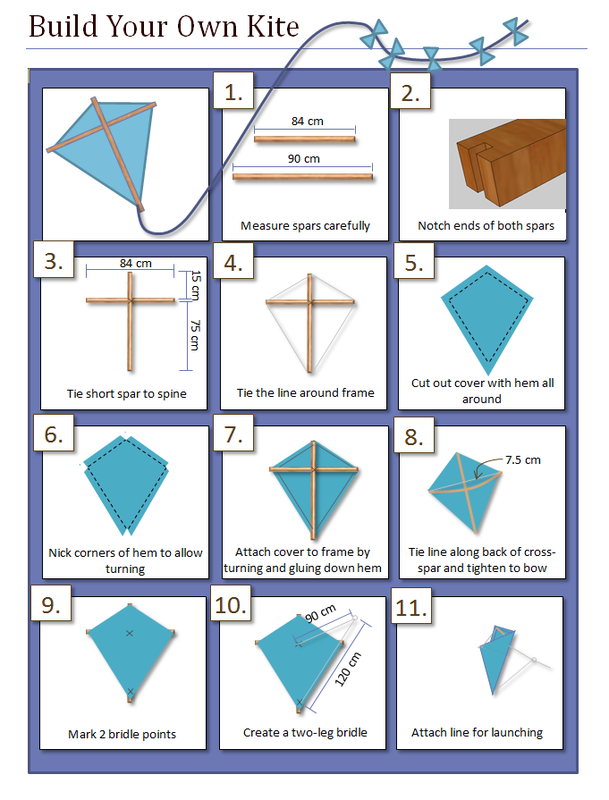 Build Your Own Kite.pdf contains a printable version of the graphic above for classroom use. How High is that Kite? can help start a discussion on flying kites. 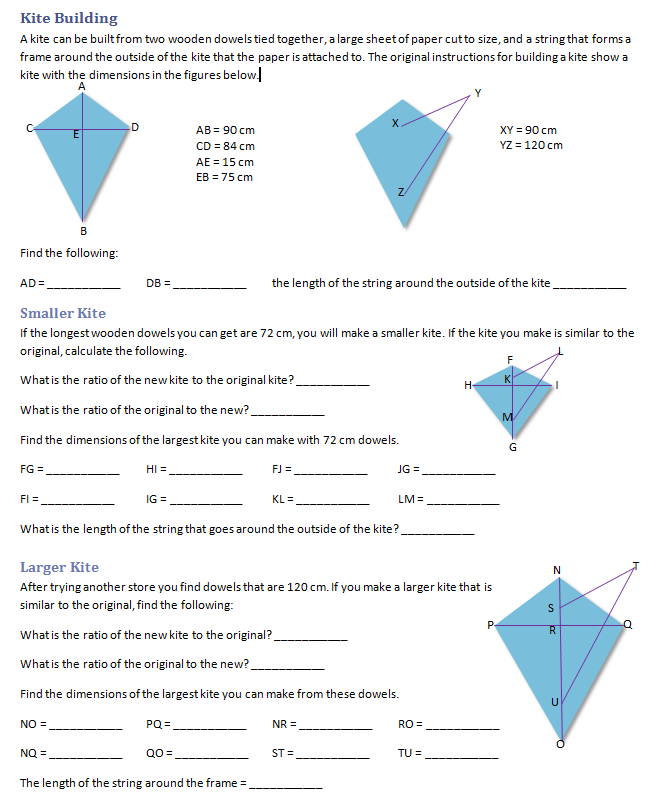 Similar Kites asks students to find the measurements for a smaller and a larger kite. In the video and photo from How High is that Kite? the kite’s string was completely unrolled so all 50 feet were in use. The boy is 4 feet tall and holds the kite with his arms at 3 feet. Dowels can be purchased at a craft store like Hobby Lobby or Michaels. 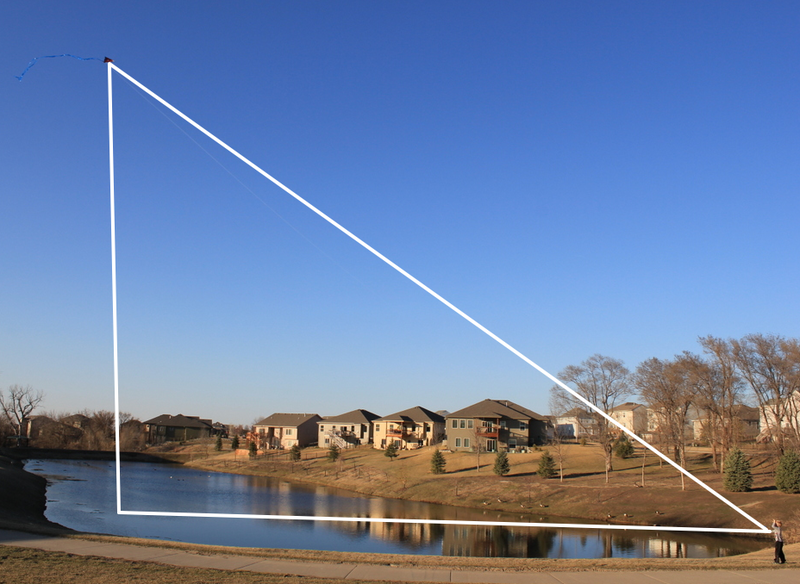 A gravity protractor can be used to find the angle of the kite as it is flying. I had my students make them prior to flying the kites. They reversed the measurements on their card to quickly be able to find the angle of elevation. Various on-line retailers sell kite string. Don’t be surprised if your more competitive students bring massive amounts of string so theirs can be the highest. Also don’t be surprised that the students who cut corners or haven’t been taught to measure never get their kites off the ground. The big rolls of paper most schools have for making posters work well for this activity. 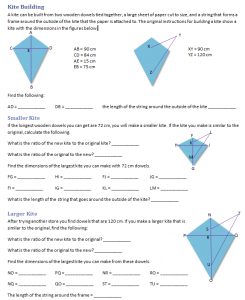 You can ask your students to come up with geometric design for their kite or you let them come up with their own designs. Prior approval of the design is recommended. If you have your students build kites in groups to save on costs, consider allowing them to bring other kites from home on launch day. Flying a kite is much more fun than watching. Due to the weight of the frame and kite, though, it is important that two students work together to get the kite they make in class aloft. Kites fly better with tails. Attach a string to the bottom of the kite. Tie strips of fabric to the string to keep it from spinning. A special thanks to Adell Stiles, my cooperating teacher, who shared paper copies of this with me many moons ago. How can AB and XY be the same distance while XY is within the AB ? XY is the length of the string that’s attached to the frame of the kite. It’s part of the harness. Y is the point where the kite is attached to the long spool of string you use to reel your kite out. I hope this helps!